You have to be very fortunate to go all the way through the course without encountering some frequent but easy-to-solve issues. We have spent many hours gathering relevant information and detailing complicated procedures for this course. If you find something strange or a very confusing explanation, do not hesitate and jump over to the course guide. In the guide you will find detailed information as well a many more references. Use it as much as you need. Feedback is always appreciated. It seems a simple element but correctly placing it on the breadboard and connecting it is no trivial task. If things are not working as they are supposed to and a pushbutton is involved, double-check it. 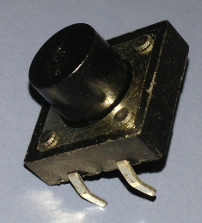 You may find some black foam pieces protecting the pins of the Sparkfun XBee Explorer. These are great for protection purposes. However, it is important to remove them while you are working with the devices. Otherwise, mysterious problems occur. Sometimes X-CTU asks you to reset the XBee, or you want to reset it for any other reason (such as to wake it up). Then, take the XBee out of the Explorer (while the Explorer is connected to the computer) and plug it in again. When experiencing mysterious delays while using broadcast communications, change it to unicast. Do so by manually setting the destination hardware address. Make sure that all the participating XBees use the same updated firmware version. Use the buttons "Restore" and "Read" in this order to restore and read the default values. It has happened that some XBees do not respond when testing them with the "test" button in the X-CTU main screen. Try with all possible baud rates until you find one that works. 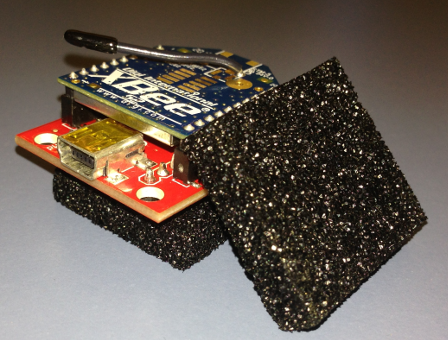 Then, flash the XBee with the "router AT" firmware. Activity (optional): Add any issues that you encounter during the course in the comments.